gooseberry, currant, raspberry, blackberry, cranberry, blue-berried honeysuckle, vine, blackberry, flowering quince, Goji berry, cowberry. 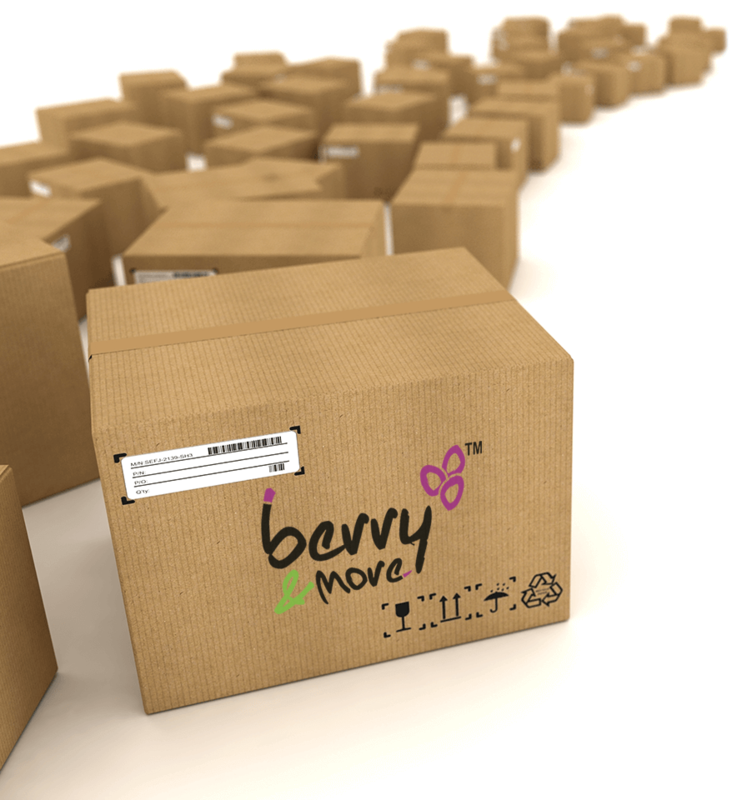 Would you like to sell berry&more™ in your store or garden centre? As a producer of fruit bushes, we launched top quality products on the Polish market that will satisfy even the most demanding of your customers. Our priorities include: the quality of our plants, variety of product lines, and searching for novelties in addition to offering plant species and varieties that are well-tried over many years. We make sure that you get high-quality products on agreed delivery dates. Being aware of the excellent parameters of our bushes, we are convinced that they will delight your customers with their beautiful look and abundance of fruit every year. Fill in the form and register to receive our current offer. Choose a plant collection from our offer and the way you would like us to prepare it for you. Place an order and wait for delivery. Or maybe you would like to have berry&more™ in your garden? Our offer includes many proposals for different gardens, both small and big. Fruit bush cuttings are produced with utmost care by the lovers of gardening art. All berry&more™ bushes are highly resistant to the changeable weather conditions of our climate and very fruitful. We provide professional advice on cultivation and can tell you how to take good care of fruit bush cuttings, how to trim them and when to plant them. We offer interesting gardening tips concerning berries. Our online store with fruit bushes is developing thanks to our modern technical facilities and the skills and great engagement of our staff that do their work the best they can. You will find top-quality fruit bush cuttings (gooseberry, currant, raspberry, blueberry, cranberry, blue-berried honeysuckle, vine, blackberry, flowering quince, Goji berry, cowberry) in it. Careful selection of our varieties helped us become famous on the Polish market and win regular satisfied customers. We guarantee that thanks to the purchase of berry&more fruit bushes in our online storeyour garden will become the land of extraordinary flavours and fragrances. We designed berry&more™ in such a way that our plant offer meets your expectations and the cost of delivery to your store or garden centre is the lowest possible. We know how to pack and deliver our top quality plants to business partners who are sometimes based even thousands of kilometres away from us. We can deliver our berry plants and fruit bush cuttings on a pallet in especially designed boxes, on CC trolleys, or on non-returnable wooden stands. We take care of the natural environment and guarantee top quality and safety at the same time.